Many people love their neighborhoods and their houses but are merely running out of space for their families to grow and thrive. If you are in this situation and have been dreading the idea of a potential move, adding onto your home may be a viable option for you. 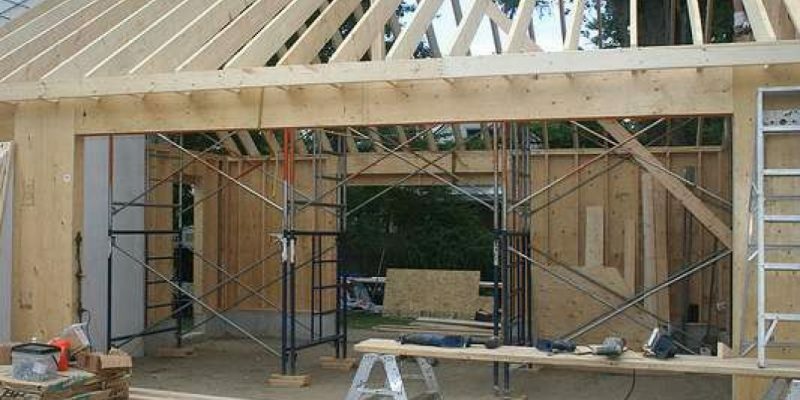 There are, however, several critical questions you ought to ask yourself prior to starting an addition project. The answers you come up with will help you plan the best possible add-on space for you and your family. Several of these questions are outlined further in the next few paragraphs. Who will use the space and how will they utilize it? Carefully considering this question will help you really think about the function you need your new space to serve in your household. If, for instance, you’re a parent and you’ve been thinking about giving your children more space to play, you need to consider how to best create a playroom that is safe and fun now but will also grow with your family as your children get older. Or, if you are planning to add a brand new, larger kitchen onto your home, you will have to consider what to do with your current kitchen space so that area doesn’t go to waste. Depending on your project, there will be a variety of different factors to evaluate. How much space needs to be added? The larger your new addition is, the more money it is likely to cost you. Therefore, you need to have a good idea of how much room you need to add in order to prepare a proper budgetary plan. Once you’ve considered the prior question, you might realize you don’t actually need as much extra space as you originally thought you did. Perhaps you just need a more effectively laid out area with a small addition. Talk to your contractor and share your thoughts with him or her before the design plan is finalized. He or she is likely to have some helpful advice. How is the new space going to coordinate with what I have now? This question is important from both an interior standpoint and an exterior standpoint. You need to make sure your new living area works with the look of your existing home. Many homeowners throughout North Carolina and South Carolina strive to keep the original aesthetics of their houses alive by designing additions that meld seamlessly into what they already have. Others, though, go in a completely avant-garde direction, adding ultra-modern spaces onto historic houses, for instance. Only you know what your personal tastes are and how you want your addition to look, so give this some serious thought. Will the value of this new area be worth the cost? Value and cost are not the same thing. Although you will undoubtedly have to pay for your home’s addition to be built and finished, the expense will be well worth it if it will add value to your family’s lifestyle for years to come. This is especially true if you consider the house you live in now to be your forever home; you are likely to entertain generations of your family in your space, so it’s important for it to meet your needs perfectly. At Hatch Homes, we enjoy doing finish work, such as siding on new additions. If your new space is almost ready but requires some final touches, give our professional team a call today. We can’t wait to meet you!